Ensure your plants are kept healthy by hiring garden maintenance specialist from us in Folkestone CT18. Pick us because we offer reasonable, competitive prices, as well as wide ranging and all-inclusive services, that include garden maintenance and much more. You won’t need to provide any equipment whatsoever, just make your booking and we’ll come ready for the task at hand. You don’t even need to be present at your property during the job. Give us detailed instructions and access to your garden and we can do everything without you there – your convenience and satisfaction are our priorities. Reserve your appointment at any time of the day or night – our advisers work around the clock to help you. We’re Your One-Stop Garden Maintenance Shop in Folkestone! Same day service - if you need the Folkestone CT18 garden maintenance pros in an emergency we're always here to help - even when the weather is bad! 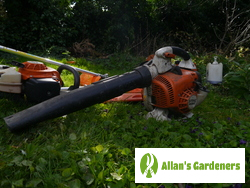 Contact us through our chat facility or fill in our contact form to tell us a little about what you're looking for and get a free instant quote from Allan's Gardeners in Folkestone CT18. Alternatively, call us any time on 020 3746 3128. Initially our helpful customer advisers will probably have a few questions to ask, just to get a better idea of the scope of the work involved before giving you a guide price. Go on to arrange an onsite visit where the finer details will be worked out. On your request, your gardening could start there and then. 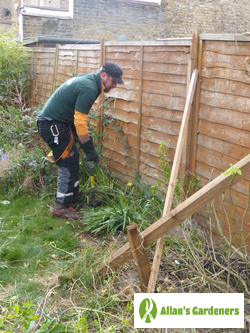 You can get professional gardening and other services from us in more than just Folkestone. Find experts in… Hythe, Whitstable, Herne Bay, Birchington, Westgate-on-sea.